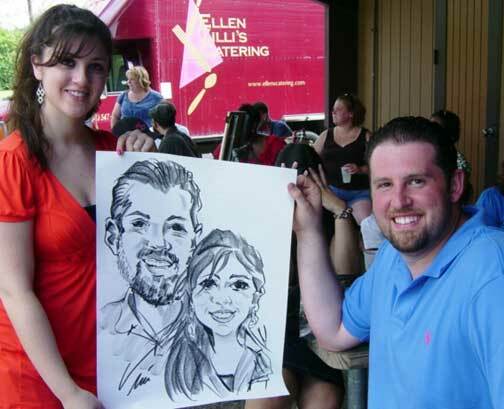 I'm based in Madison, Wisconsin and book my caricature entertainment throughout the upper Midwest. At booked events, I always arrive 20-30 minutes early. I allow time to meet my contact, find my location, and get set up. I begin drawing promptly at the start of the booked time. I bring my own easel, all materials, and lights. All I require from the client are 3 chairs and access to electricity (if indoors). 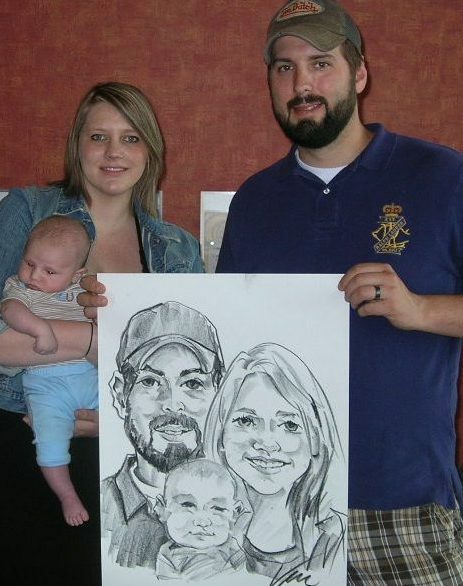 I draw as many people as I can within the time booked. I always keep track of the number of people waiting. As the end of my booked time approaches I will cut off my line so that no one waits needlessly. If a client wishes me to stay longer than the booked time, and my schedule allows, I am usually willing to arrange it.